Probably everyone who doesn't have this wants this in the makeup world. I think I want Naked2, but if someone has more experience, can you tell me the differences between Naked and Naked2 and which type of person they might suit? 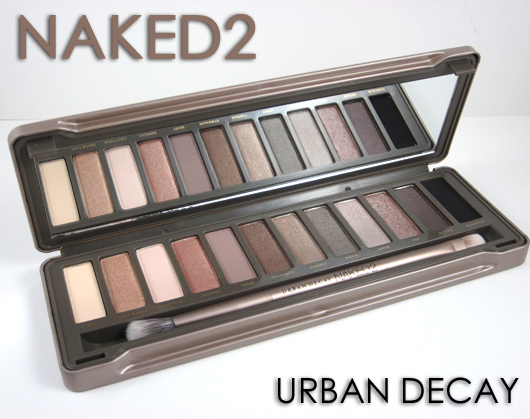 I haven't got Naked2 (but WANT so badly! ), but I absolutely ADORE my Naked, I use it practically daily. I believe the Naked2 has more matte colours, whereas Naked has more glimmery ones. Good to know about the differences! I'm starting to think that I can't wear glimmery colours though because of my weird eyelids. It's like I have the eyelids of a 50 year old! So Naked or Naked2 might not be for me afterall. Glimmery colours are so pretty though!! !